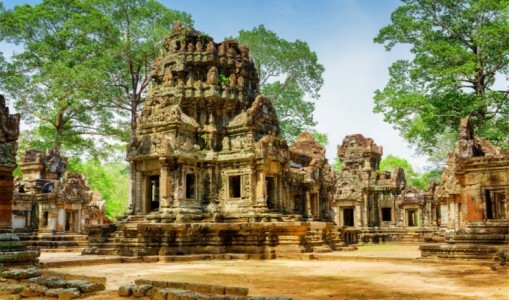 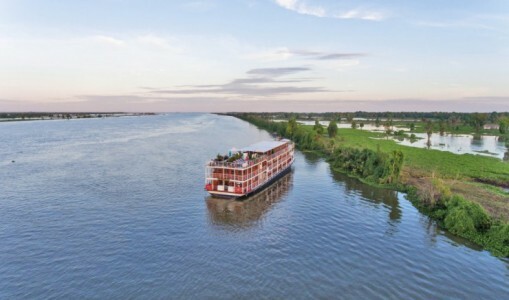 With a host of memorable landscapes, from the mighty Mekong River and tranquil Tonle Sap lake to the ancient temple complex of Angkor Wat, Cambodia's bustling cities contrast with its peaceful waterways and temple ruins, all of which can be explored on one of our escorted tours. 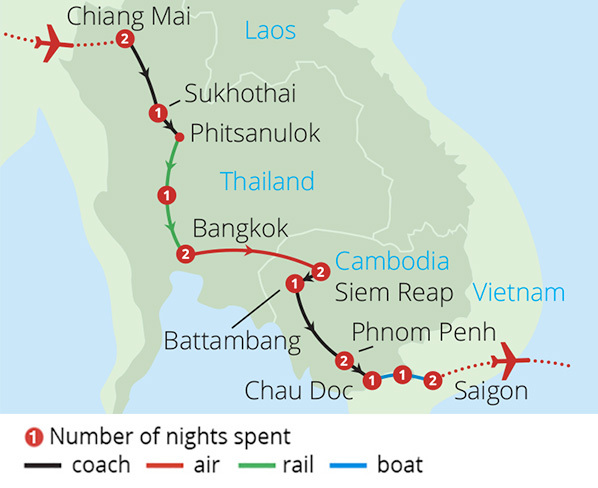 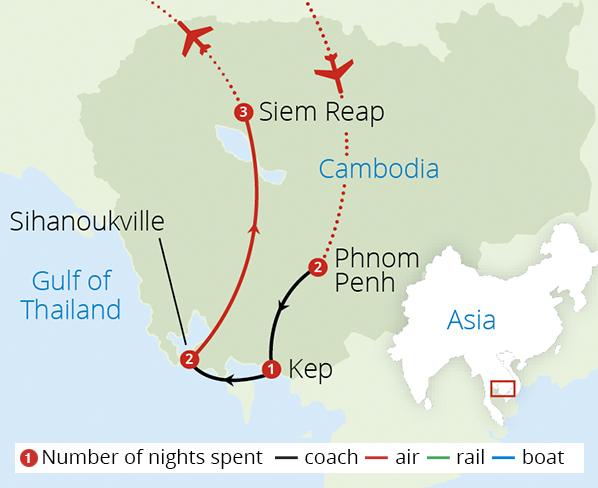 Join us for a Cambodian adventure as you wander through the crumbling temples and mighty Banyan trees of Angkor Wat, savour local crab in the markets of Kep or take in the country's grim history at the war memorials and museums of Phnom Penh. 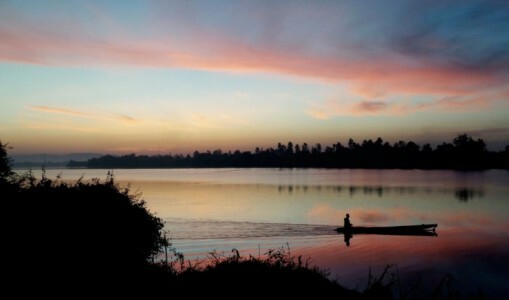 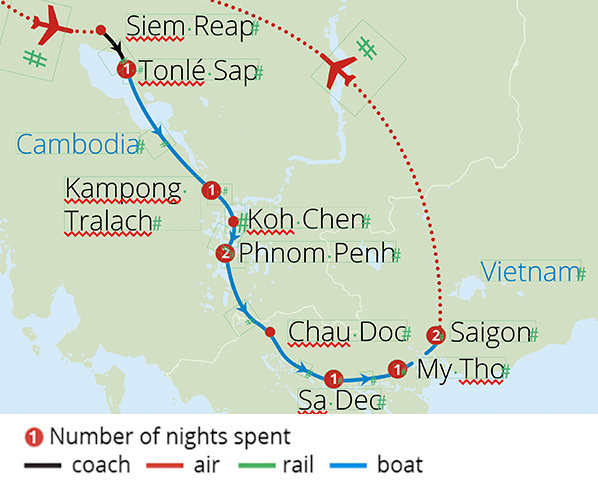 Our escorted tours of Cambodia comprise of a number of individual itineraries, with something to suit all interests.